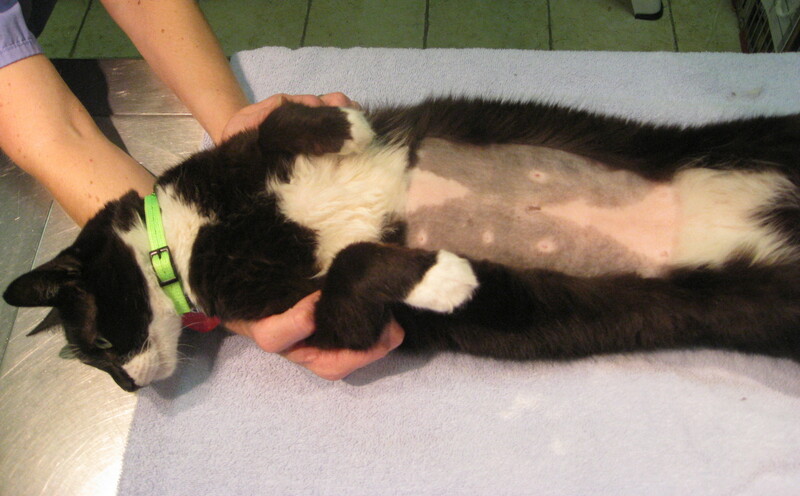 Drop off your pet in the morning of the day of the ultrasound exam. Make sure you fast your pet for at least 12-20 hours prior to the exam. Be sure not to let your pet urinate on the way to the clinic as a full bladder is helpful. 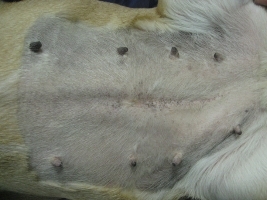 Your pet might be shaved as shown below to ensure a good quality imaging for the internal organs. 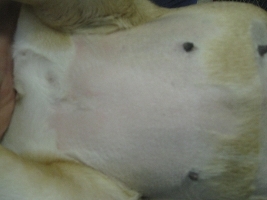 Shaved for abdominal ultrasound for a dog. 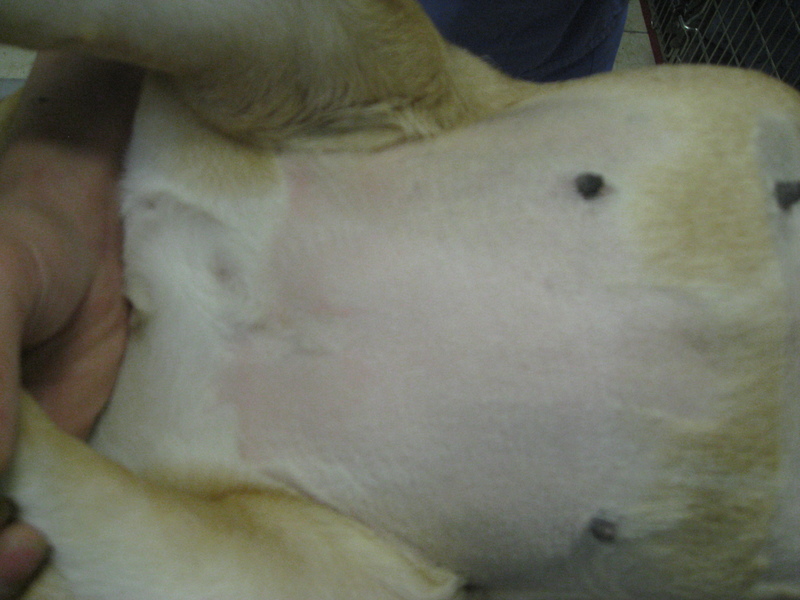 Shaved for a cardiac ultrasound for a dog. Shaved for abdominal ultrasound for a cat. 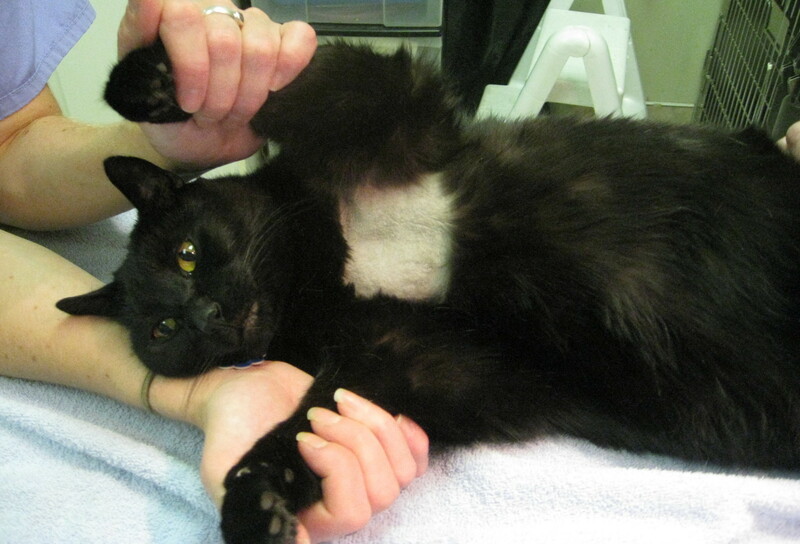 Shaved for a cardiac ultrasound for a cat. Normally, there is no need to sedate your pet during the ultrasound scanning, however, depending on your pet's demeanor and the stress level, a mild sedation might be induced in order to perform a thorough exam. 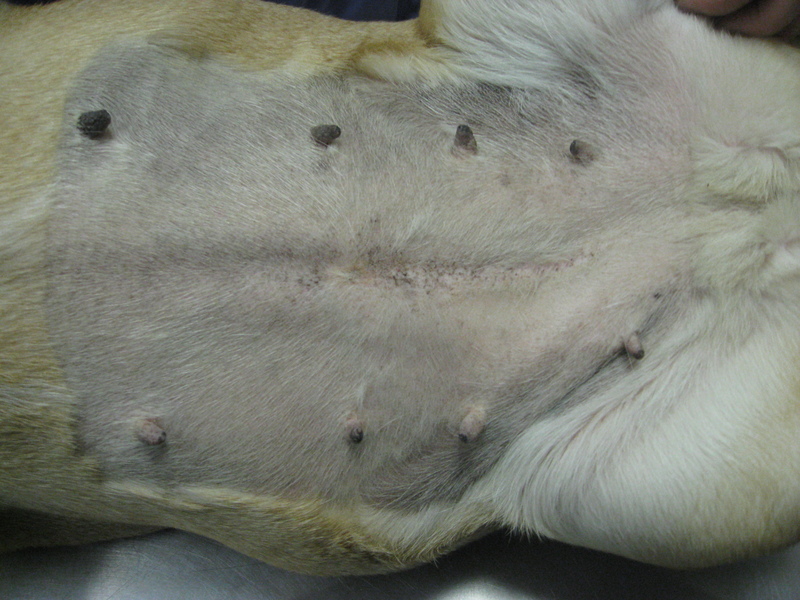 If there is a need for a biopsy from an organ site, a general anesthesia or deep sedation will be needed from your veterinarian. Your veterinarian gets an on-site discussion of the findings and further planning along with a rough hand written report. The complete report will be sent to your veterinarian within the next two to three days. All the services provided to you and your pet will be charged to your veterinarian.